Post #1961: We got ourselves a platform, baby. After work on Friday we drove to our place at Link Lake to camp for the weekend. We didn’t know how far along the building of the cabin had progressed (if at all) because while our builder is great at building, he is terrible at communicating. So terrible that he had our building permit in hand for a whole week before he dropped us a line to let us know. 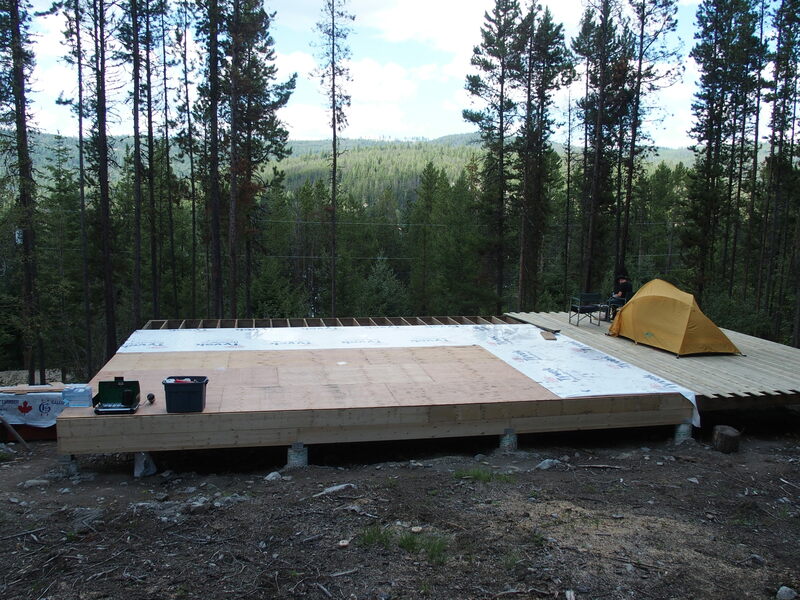 Fortunately we hit the road early enough to get to our property before nightfall and were ecstatic to see that construction has started and the foundation, cabin platform and deck are done already. We pitched our tent on the deck (which sits 8 feet off the ground owing to land slope) and used the cabin side to set up the camp stove. 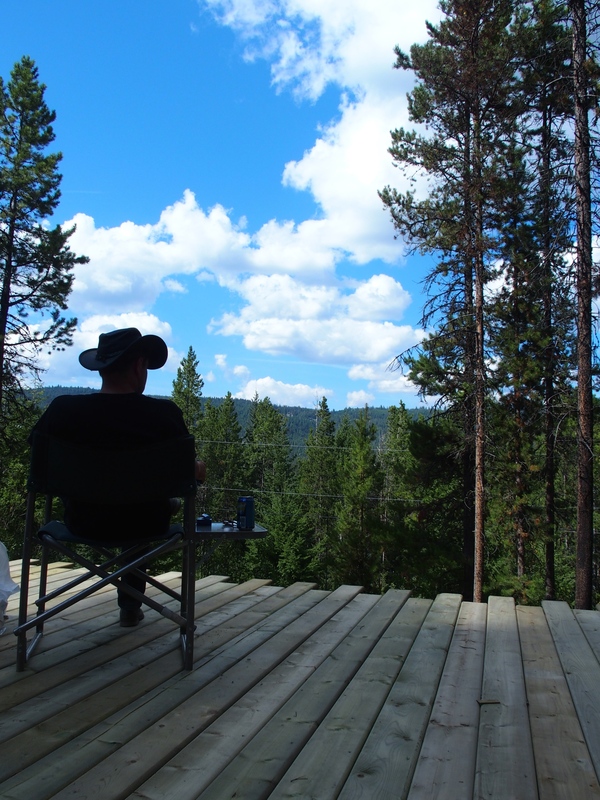 It was our first night sleeping on the land together – our first night in our almost-cabin.